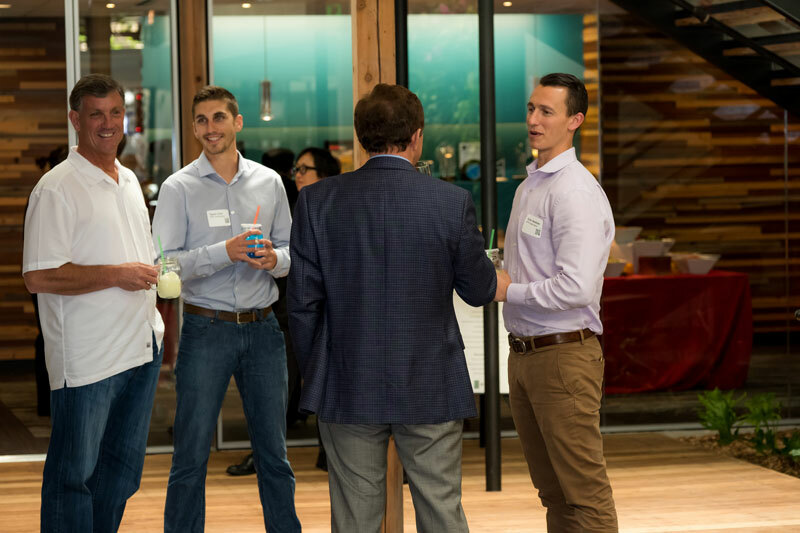 The San Francisco Bay Area business landscape is a fast-paced one without a doubt. So naturally, San Francisco Bay Area catering needs to step up and keep up. 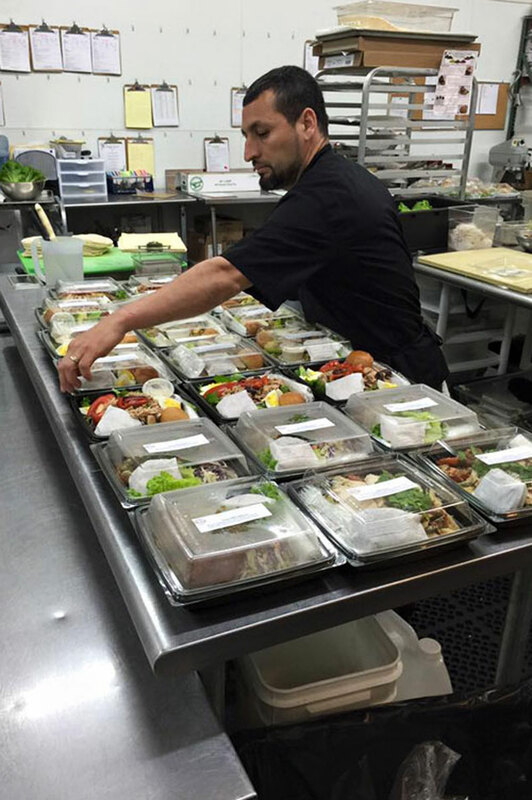 At Above & Beyond Catering, our stress-free drop-off catering services are just one of the ways that we contribute to keeping our local business pros full and productive. But healthy lunchtime catering as a whole comes with a ton of benefits that can transfer to multiple areas of your business (up to and including your bottom line). 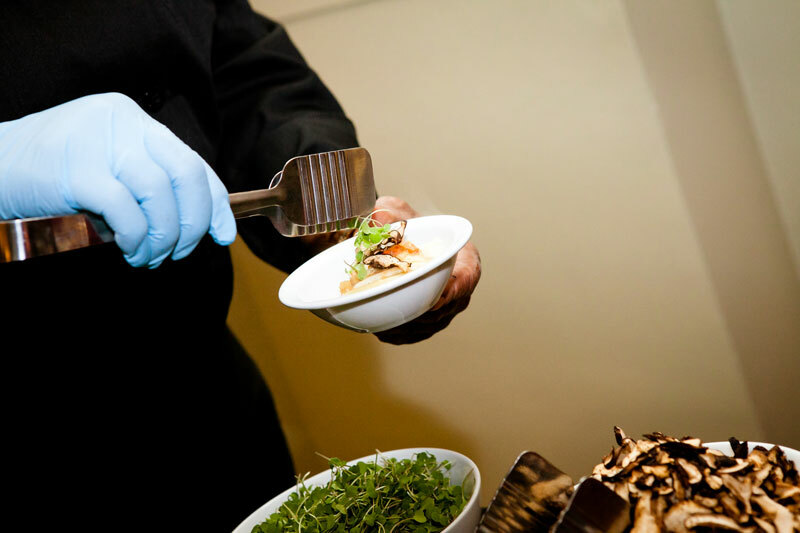 Here are some of the most notable benefits of corporate lunch catering in the San Francisco Bay Area. Boosts office morale and productivity. Hey, what’s better than treating your employees and team to some great food? Corporate lunch catering services are a great way to express your gratitude to your team for all their efforts. Studies have shown that it can increase employee loyalty and positively impact your team’s performance. Saves you and your group a ton of time. Corporate lunch catering services can really save you a ton of time and help make your work day flow more efficiently. 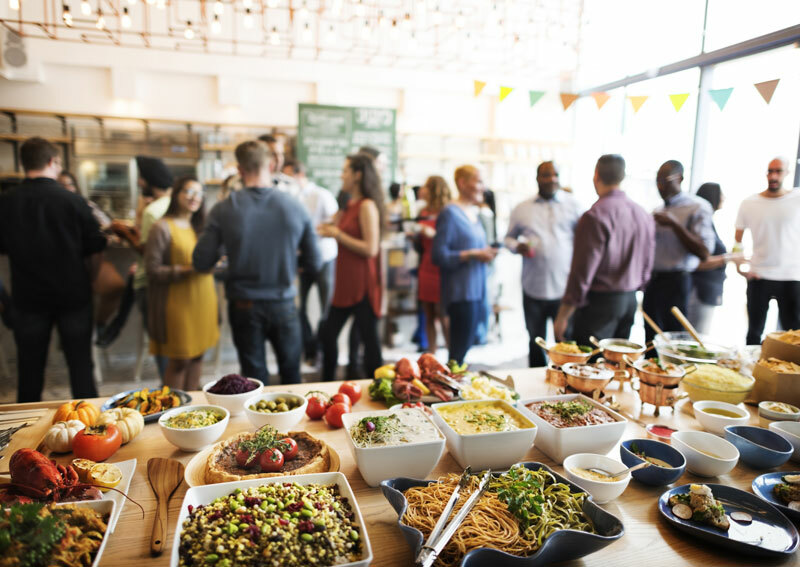 We can do this not only by eliminating the need to leave the office, but also by offering packages and themed buffets that are simple to choose and order. Reduces the need to set up and clean up. Corporate lunch catering offers a simplicity in execution because set-up and clean-up services are taken care of for you. For instance, our corporate lunch catering services can provide your power lunch with utensils, tables, napkins and more. We get to your location, serve up, clean up, and go—leaving you to get back to making that money! Ensures high-quality cuisine in a timely manner. Fast food is largely unhealthy and can feel sort of mundane after a while. With corporate lunch catering, you can guarantee that your team is eating something healthy, new and exciting every day! We cater to all different kinds of dietary preferences and restrictions while using the freshest locally sourced ingredients in every dish. Gives employees a break and builds camaraderie. Most great and worldly chefs will tell you that few things can bring people together like a good meal. This is especially true when it comes to corporate lunch catering. Providing your employees with a great catered meal gives them the opportunity to come up for air from the daily grind and subsequently gather around the table with each other to share stories and build their own interpersonal connections. Above & Beyond Catering is ready, willing and able to arrange a fresh and delicious custom catered menu for your entire group. If you’re looking for great corporate catering services, contact us online or give us a call at 415.308.4825.